Despite the fact I recently found a holy grail foundation in the fabulous Urban Decay Naked Skin (you can read a full review of that here), of course I'm still curious about other products that can make my skin look good, especially when a favourite brand launches a new offering. 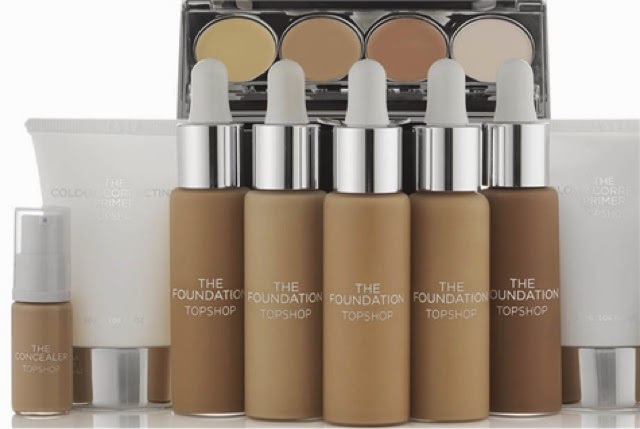 So I recently tried Topshop Makeup Foundation, which is the first base offering from the high-street behemoth. I've said before how much I love the Topshop make-up range, and their lipstick rank among my favourites, so when I saw they'd recently launched some skin offerings, I was intruiged. The Foundation (like Madonna, it only needs one name, darling!) comes in 5 shades, which isn't a huge range. It claims to 'adjust to your own skin tone', so my theory was that if I picked the generic 'medium' one it would somehow blend in. With that in mind, I picked shade '2', although it seemed very dark and orangey in the bottle, which was a bit worrying. I knew '1' would be too light though, and in the interests of avoiding 'ghostface', I plumped for the next shade up. On the matching front? Not too bad actually. 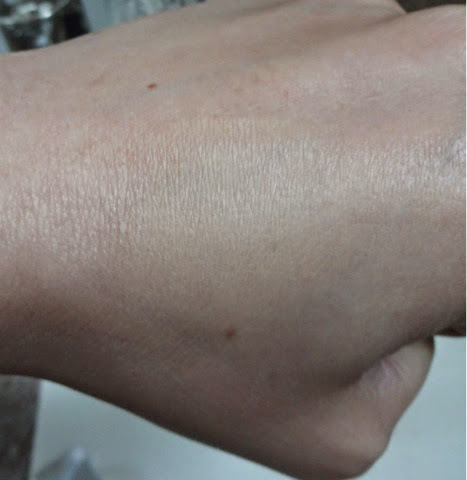 When blended in, this did match my skintone well, despite my initial concerns. The colour looks natural in normal daylight, so the initial impression of it in the bottle was unfounded. This has a 'silicone gel formula' and in theory, this is a bonus. I imagined something that would give a light to medium, quite hydrating finish and would probably feel very smooth on the skin, because the ingredients are similar to what you'll find in a primer. You definitely don't need any primer with this, so if you're looking for a time-saver, this could be good. However, I didn't get on with the gel feel. It doesn't set very quickly, so the formula felt quite greasy and slippy on my skin. I felt it needed a boatload of powder buffing on top, just to balance out the texture. The finish it gives is glowing rather than dense, but once set its not as greasy as it feels. In fact, I'd say the 'look' of it is far preferable to the 'feel', if that makes sense. The formula also has 'berry flux vita' which supposedly helps to maintain the moisture balance in the skin and I'd have to agree this is nice and hydrating. I think it would feel great on dry skin. Oilier skins may struggle. I have medium sort of skin really, and although this set nicely, it did feel more on the fluid side. There's also SPF 15 as an added bonus, which is good. 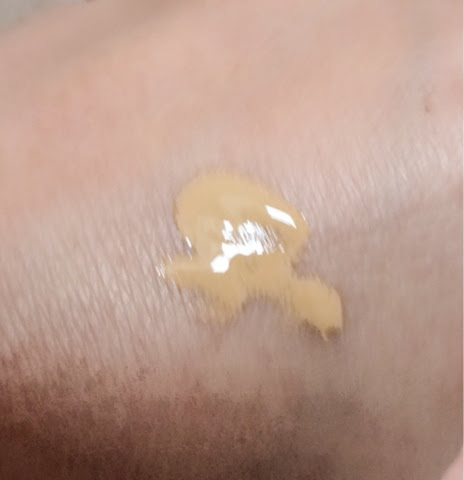 Normally, I would use a primer with an SPF or a separate high-factor facial sunscreen, but because my skin felt a bit wet and overloaded with this, I skipped all that and just relied on the foundation, so its good that's covered. This did not score highly at all for me! 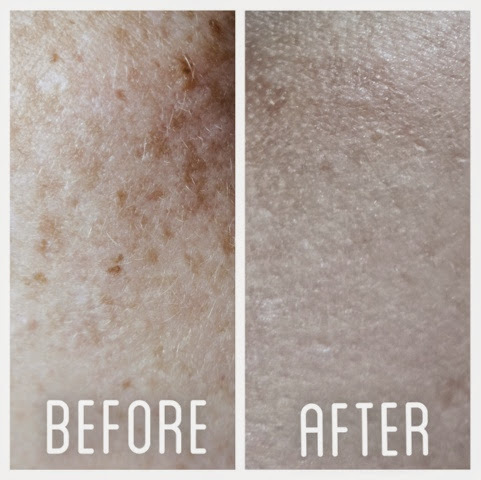 The coverage is light to medium. One coating will give a very realistic look, a light retouching if you will. Sort of like the L'Oreal Eau De Teint, a similarly light touch. But you can easily build it up without it looking too overdone as well and get to medium coverage. Bizarrely, I think this photographs better than it looks in real life. I wasn't very impressed the first time I used this as I could see all the imperfections still, even if they were slightly toned down. I definitely want more from a foundation. I've had better coverage from some BB creams than from this! I've since learnt that if I give this a couple of coats, pair with a great, thicker concealer, and buff in lots of powder, it sort of works. But I don't feel I should have to do all that to compensate. 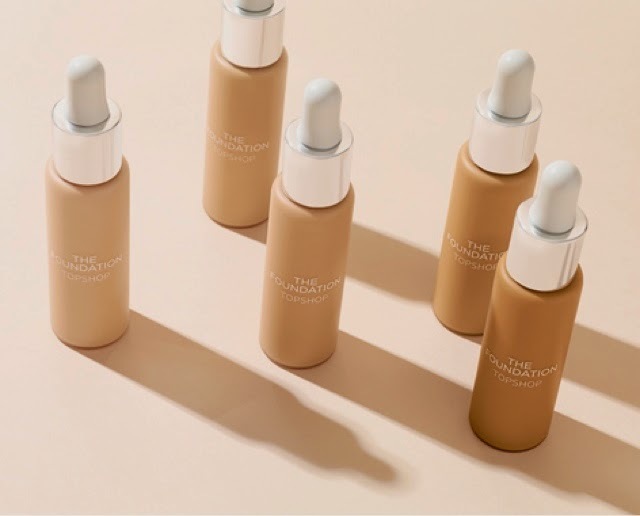 It seems this is only really aimed at those people who want a very light-touch foundation and already have almost perfect skin. If that's the case and you're not after lots of coverage, you might like this. But equally you could go for a BB and have lots of added skin benefits that this doesn't offer. At first, I was all excited by the packaging. It looks very premium in the pictures. A frosted glass bottle with matte lettering looks very sophisticated and wouldn't be out of place on the premium beauty counters. The foundation is extracted with a pipette, which also seemed like a good idea - hygienic, practical and good for getting all the formula out of the bottle. But in practice, its worse than useless. The pipette does not pick up any product at all, other than that stuck to the side of it. Its absolutely useless. I've had to resort to just tipping it out of the bottle, which is wasteful and annoying as I inevitably want to lay the pipette down while doing so and it then gets foundation all over my dressing table. Honestly? Complete style over substance and the least practical packaging I've ever come across. And almost the first thing that struck me about this is how small the bottle is and what a small amount you get for your money! Its much smaller than I'd expect and this seems especially stingy at the price. For £16.00 its not the most expensive, but its also far dearer than most 'drugstore' brands, which I would class this with. Its an odd price point really - below the Chanel and YSL formulations it no doubt wants to be, but way above Bourjois, Maybelline and others. 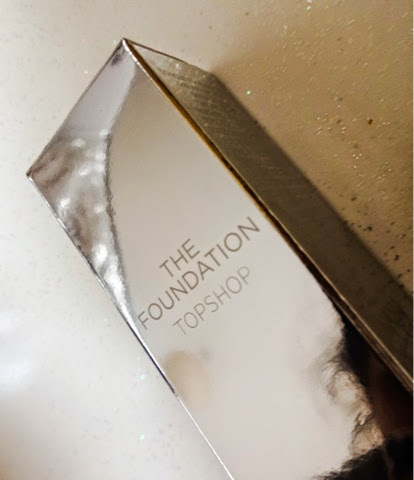 I'm a big supporter of Topshop's make-up offering in general, so I was really disappointed to find this was such a let down and I won't be making that mistake again! I'll continue to love their lippies, but I'm going to be wary about trying new offerings from their range without extensive sampling first. Wow, doesn't sound like a good product in the slightest. This is so disappointing. The packaging is quite plain and boring too. I actually quite like the sound of this as I only like very light coverage. It's really very pricey though! 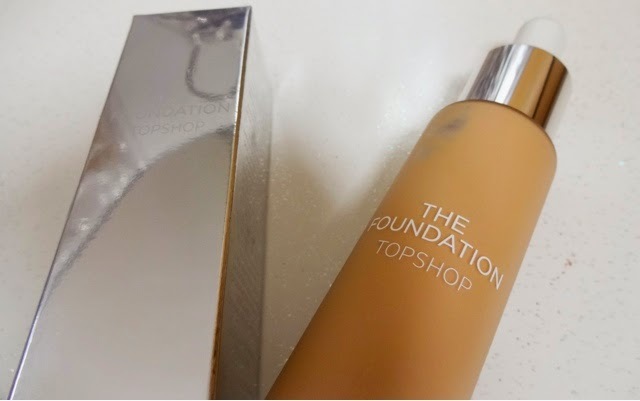 Oh dear, I can't stand foundations that feel greasy on the skin either! 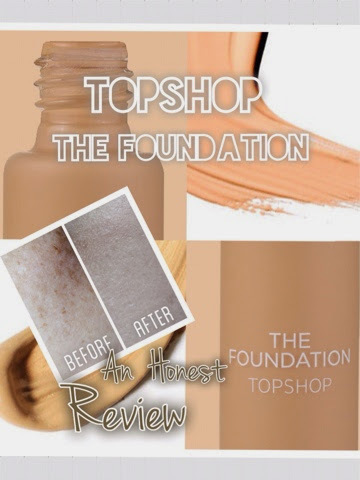 I haven't actually tried any Topshop makeup products but I think I'll give this a miss as staying power is really important for me in a foundation! Thank you for a really balanced review - you saved me some money! I will stick with my usual YSL and Estee Lauder foundations that are worth the extra money.